...eventually breaking out to where we see her in Reached. 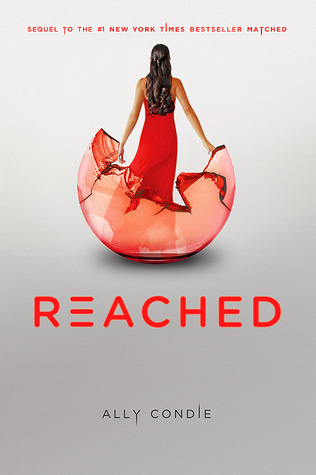 Each of the bubbles matches the colors of pills (blue, green and red) that feature predominantly in the series. 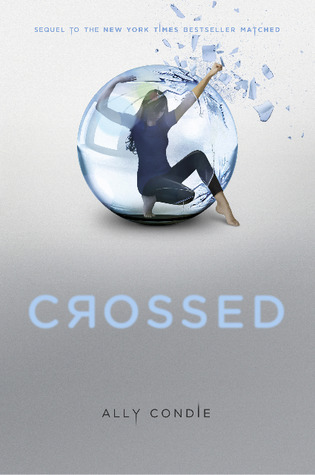 I like that the simplicity of the series covers and that they complement each other thematically. 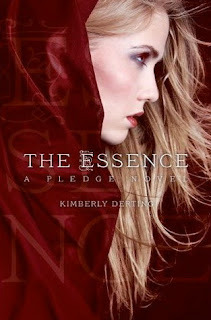 The next new cover for this week is for The Essence, book two of Kimberly Derting's The Pledge Series. Both of the covers for this series feature models with cloaks looking mysterious. Which I think fits perfectly with the theme of the series. "Just some of the things I love about this cover:1. It's the same model from The Pledge. 2. The red! Dear lord, the red! 3. I love her expression. She looks fierce. 4. Did I mention the red?!?!" So, what do you guys think? I can wait to get my hands on these books. 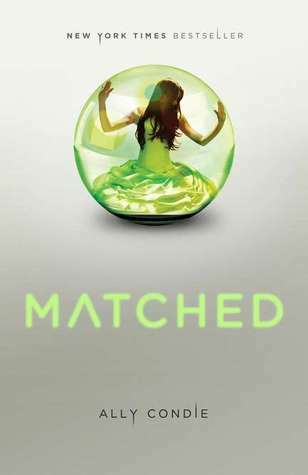 Not only to continue two of my favorite series, but also because of the beautiful covers! I agree. I like the simplicity of the covers. I can't wait for them to come out! Thanks for stopping by! I really love the cover for Reached!